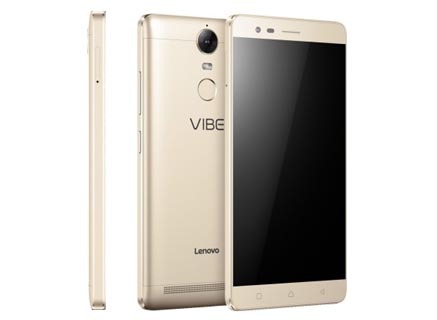 Lenovo launched Vibe K3 Note and it was Hit in India, After that they have introduced K4 Note; and company claims that it is especially designed to work with VR Headset to have theater experience. Now they have launched Vibe K5 Note with specs like 5.5 inch Full HD display, Helio P10 Processor, Android 6.0 (Marshmallow), 13 MP primary | 8MP secondary camera, 4 GB RAM, 32 GB ROM, Expandable Up to 128 GB and 3500 mAh Battery. Lenovo made an influential effort to create an eye-catching design, the full metallic uni-body looks quite premium with narrow bezels, where actual display looks much wider. The power and volume buttons are fixed on the right edge of the phone, bottom has USB Data cable slot and top houses 3.5mm audio jack. Clarity of screen is well maintained by the 5.5 inches Full HD LTPS IPS LCD display (401ppi display density). You will not feel any major quality declination while viewed from any other angles. The brightness is enough to work in direct sunlight. There you may miss any kind of special protection for the display. Phone has 13MP primary and 8 MP secondary camera, doesn’t offering any sweet spot to praise, Both the front and rear camera perform above average in daylight, but in case of light sensitive scenery quality depletes and pictures become noisy. The Lenovo is parent company of Motorola and they have fixed pretty well camera in Moto G4 Plus but in K5 Note they are not providing a impressive quality camera. There is mediocre MediaTek Helio P10 CPU fixed inside the phone, we are actually expecting something like Helio X20 or Snapdragon 650; however this chipset doesn’t showing any kind of deduction in general performance and multitasking. There is noticeable heating around rear camera while calling, heavy multitasking and shooting the videos. A lots of Graphic intensive games can be played in phone. On paper there is 3500 mAh battery inside the phone, giving average backup. It is also true that for a typical user phone can easily run for more than a day but it’s quite low for a intensive user. 4 GB RAM for smoother performance. 32 GB internal memory with 128 GB SD card. Lenovo do not want to loose its gripping in any price segment, for high end they have reserved Motorola Moto series and mid to low end they are launching under Lenovo branding. Vibe K5 Note is best refined phone of this series, it has 13 | 8 MP camera taking decent daylight photographs, 5.5 inches Full HD vibrant display, and Helio P10 processor coupled with 4 GB RAM sufficient to run most of the tasks flawless; There are already equivalent or better handset in market like Xiaomi Redmi Note 3, Moto G4 Plus and LeEco Le 2.